E-mail written Jun 2004, Apr 2007 to Warren Culpepper from Kathryn Harrison, e-mail address. Johncie C Culpepper, Female, died 19 Feb 1992 in Dallas Co., TX. Willard Katherine Culpepper, Female, died 14 Apr 1997 in Taylor Co., TX. 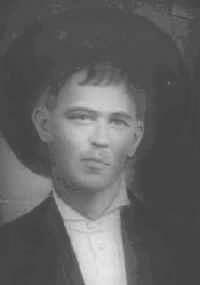 Walter Townsend, Boarder, M, May-1878, 22, S, TX NO AR, Farm Laborer. Dudley Cemetery, Dudley, Callahan Co., TX: William N. Culpepper, 1875 - 1939. Obituary* Sep 1961� Services were to be at 2:30 p.m. Monday in Betts Chapel for V.C. Culpepper, Route 1, who died Saturday in a local hospital. Burial was to be in Lone Cedar Cemetery. A retired farmer and machine operator of Carter County. Culpepper was born in Bonham, Texas, Oct. 6, 1891. 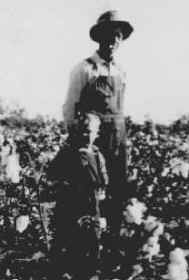 He moved to the Deese community as a child and married Miss Annie Sampley at Baum, Jan. 9, 1916. Surviving are his wife; one son, David H., 1109 Culbertson: a daughter, Mrs. Eva Mae Gibbs, Route 1; and two grandchildren, Pattilu and Victor Culpepper, both of Ardmore. The Rev. Alvin Martens, pastor of the Brock Baptist Church, was to officiate. Pallbearers include Frank Smith, Charley Conley, Clint Carrell, Nathan Boucher, Max Culpepper and Everett Creener. Vick Culpepper, Servant, M, 18, S, TX US US, Farm Laborer.